Sleep is vital to life. During sleep is when our bodies heal, regenerate new cells, make growth hormone and thyroid hormone. Without sleep for many days, one can literally go mad. To find a cure for insomnia one must understand the cause of their sleeplessness. There are remedies that can help however, even when the cause remains a mystery. 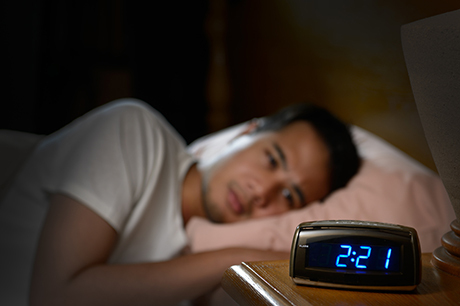 Today we will discuss insomnia causes and natural remedies. When we lay down to sleep after a busy day, we need to switch to total relaxation mode. There are many bodily processes involved in this ‘bedtime’ experience. There is muscle relaxation, melatonin production, decrease in cortisol, and finally allowing the mind to let go of the day. All of which culminate in the great moment of falling off to sleep … or not! Let’s talk about the super six natural sleep remedies to get you sleeping well. Lavender essential oil. There has been multiple studies proving this scent has a calming, relaxing, and sleep enhancing effect on the body. I recommend putting a drop or two on the bottoms of your feet and hands at bedtime. L-theanine. This amazing plant nutrient from green tea dramatically lessens the effect of adrenaline on the brain. Those who have exercised in the evening, have a million things on their mind, or had too much coffee day will benefit greatly from L-theanine. The most potent herb for sleep. You can use it in tincture form, capsule or tea. I recommend tincture. This herb has a compound that uses the same chemical pathway as ‘xanax’, a common drug for anxiety. When it’s almost impossible to shut off the mind, this is for you. A little melatonin goes a long way. This is for those who have a hard time falling asleep. Melatonin is the sleep hormone part of our diurnal rhythm, where as cortisol is the daytime part. It is especially good for those who travel, night time shift work or have irregular scheduled bedtimes. The fact is the muscle relaxing magnesium Is depleted in our soil, so it is depleted in our food supply. We use magnesium to detoxify adrenaline. How many times after a stressful day did you have tight muscles? (Low magnesium) I recommend ionic magnesium orally, magnesium gel or oil topically. Magnesium is a must for good sleep. L-tryptophan. This food derived amino acid is the precursor to serotonin. Serotonin is our calming, anti-depressant neurotransmitter. When we have been stressed and have used up our stores of serotonin, L-tryptophan can replete them. This is best for those who have a hard time staying asleep. As always before you take over the counter medicines, consult with your doctor. -There is a light from screens such as phone, tv, iPad and the like. This light, when it hits the eye, signals it is daytime. So after dark, turn off the screens or where blue light blocking glasses. The light that hits your eyes can deplete melatonin, the vital sleep hormone. -Dump the brain by writing down whatever it wants to think about on a list. Let that list be looked at tomorrow, when it is time to get up and start the day. You can title the page: What are the things I need to figure out? And write line by line topics to be thought through the next day. -Balancing hormones and brain chemistry (neurotransmitters) can be quite a task. If you need help, contact me for a free 15 minute consultation. Testing may be needed to get you back in balance.